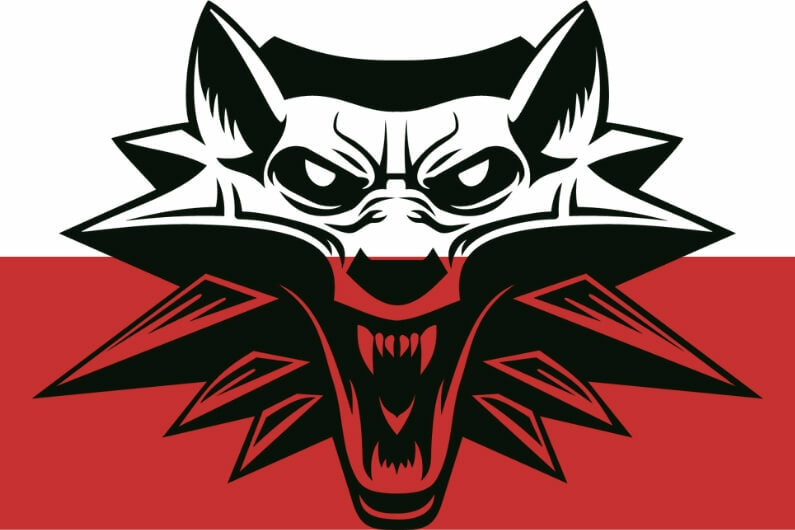 The Witcher books play an incredibly large role in modern Polish culture. After the roaring success of “The Witcher 3 – The Wild Hunt”, more fantasy fans have been swept up into the dark escapades of Geralt of Rivia and co. But it’s the series of the Witcher books written by Polish author Andrzej Sapkowski that the incredibly successful video games come from. But if you’re a fan of the video game series, is it worth reading the books? Similarly, if you’ve read the books, does the game stay true to the book series? Well, that’s exactly what you’re going to see in this article. Andrzej Sapkowski didn’t publish the Witcher books in chronological order. The first book, or collection, was published in 2007. In 2008 he published the next book, Blood of Elves. However, in 2015, he turned back and wrote Sword of Destiny, that in the overall timeline, takes place between The Last Wish and Blood of Elves. This means that there are two places that you can ideally start consuming the Witcher books. The start of the universe – ie, Chronologically. The Last Wish takes place at the beginning of the Witcher universe. From here, you can read the books as they take place in the Witcher universe, as well as the games and comics. The first book published – Blood of Elves is the first Witcher book that was written. While it’s a collection of short stories, it’s still the first published book in the Witcher universe. While it might be placed toward the middle of the Witcher timeline, starting here means that you’ll read the books in the order that Andrzej Sapkowsk intended. 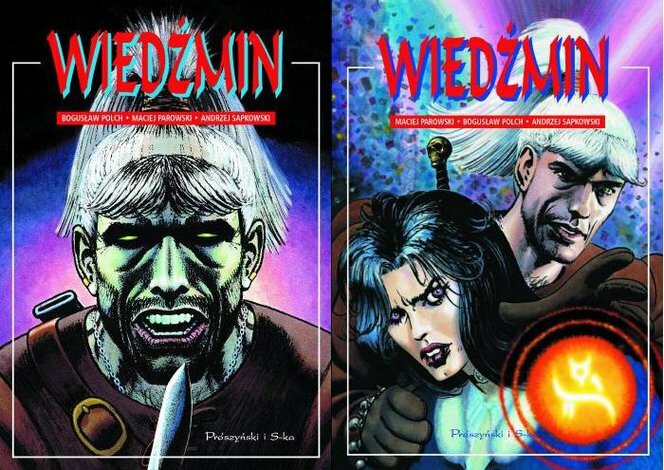 When talking about the publication order of the Witcher books, a collection of short stories by the name ‘Wiedźmin’ was published in 1990. It featured the first four stories in the Witcher universe. Even though the books have been published out of chronological order, the entire series is based in a world that was settled by elves many years ago. If you wanted to start from the absolute beginning, these short stories (published in Polish) would be the ideal place to start. When looking at the witcher books, games, comics, and every kind of media in the universe, it’s sometimes difficult to put together the entire timeline. Figuring out what happens when is important to make sense of all the complex and detail relationships. 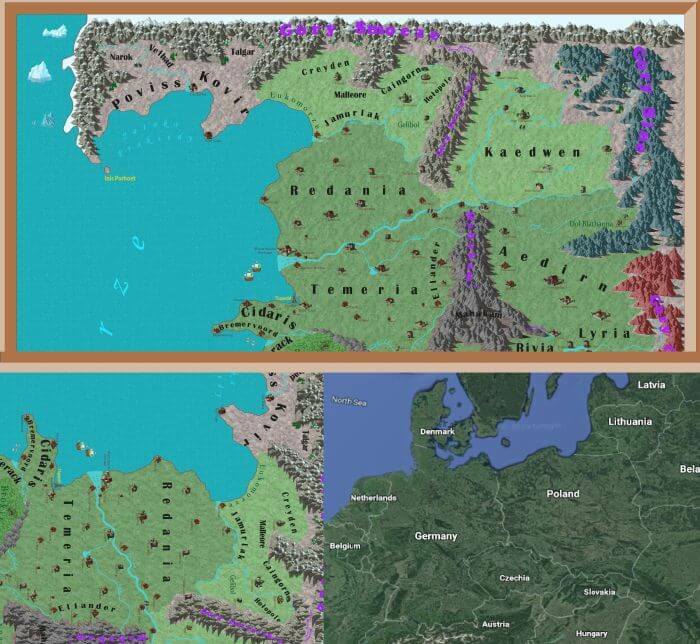 Dwarves arrive in the lands of ‘Continent’, where gnomes already have small colonies established. Known as the ‘First Landing’, this is the time when humans first discovered and started to use the Force. Princess Cirilla Fiona Elen Riannon of Cintra is born. Better known as Ciri. The Wild Hunt track down Geralt and Yennefer and abduct her, in order to draw Ciri out of hiding. The events of the game, The Witcher takes place. The events of the game, The Witcher 2: Assassins of Kings takes place. The events of the game, The Witcher 3: Wild Hunt takes place. The events of The Witcher Of Flesh and Flame takes place. Hearts of Stone and Blood and Wine expansion takes place. The best place to start with the Witcher novels depends on how much of the Witcher universe you’ve experienced. If you’ve never read a Witcher book or comic or played a game before, the best place to start with the Witcher novels is with Blood of Elves. This is the first full novel that can be read cover to cover. It’s an immersive story that gives you a good feel for Geralt and his world, without overpowering the reader with too much lore and mystery. If you have played a game (or games), it might be a good idea to start with a book that comes before, after, or between the games. If you’re reading this, you’ve probably played The Witcher 3. If you’d like to read a Witcher book that’s based in a similar era, start with The Lady of the Lake. This book is placed only 4 years before The Witcher 3: Wild Hunt and only 2 years before the first Witcher game. I’ve played the games – should I read the Witcher books? The short answer to this question is yes. Yes, you should read the books if you’ve enjoyed the games. The Witcher world started as a collection of books. It then evolved into more books, and a series of video games for a reason – because the books are that darn good. The video game lets you explore the world of Geralt and al his adventures. And even though the game is written and developed incredibly well, consuming a story via video game as opposed to a book is entirely different. There are a few differences between the Witcher games and the books – you’ll see more about that in the next section. There are some noticeable differences between what Sapkowski wrote in his Witcher books compared to the game. First of all, the books were written in Polish and then translated into dozens of languages. In doing so, many jokes were lost. This is evident when you read the books, as Geralt’s humor doesn’t always make sense. Quite often, what’s supposed to be a punch line doesn’t exactly feel like a punch line. That’s because there’s quite a lot lost in the translation from Polish to English. Plus, the book has more space and time to develop a character more. 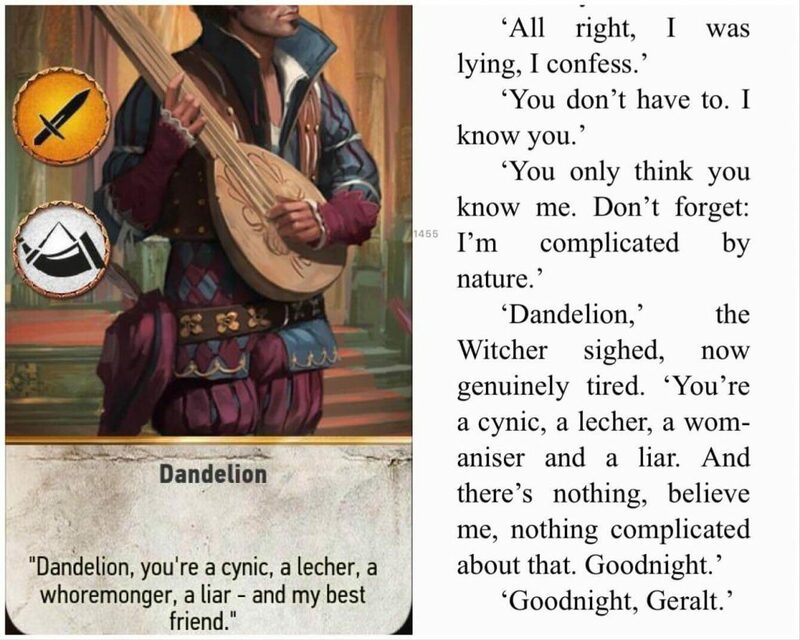 In the above Gwent card, this quote from Geralt may be seen as a compliment toward Dandelion. However, in the passage on the right that it’s taken from, it’s quite clear that the quote didn’t exactly come off as friendly. Moving on from what’s been lost in translation, there are a few differences between what Sapkowski wrote and the universe the CD Projekt Red created. In the novels, it’s portrayed that Geralt doesn’t like all the killing that’s involved with being a Witcher. He enjoys the work and the role of being a protector, but at times often feels that he ‘kills too much, too frequently’. In the game, Gerald is literally a sword-for-hire, a general lacky that goes around collecting debts and beating up petty thugs. Given some of the options that a player can say to the people Geralt interacts with inside the game, one can turn Geralt from a noble warrior into nothing more than a criminal himself. This is reflected in the attitudes of a lot of Novigrad residents. It’s worth noting that the storytelling power of a novel and an immersive open world game are very different mechanisms. 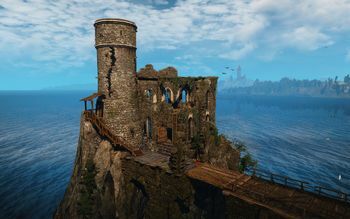 While the game does vary a lot from the Witcher books themselves, the game universe is more often than not a great reflection of the world created by Sapkowski. There’s a lot of reference to Slavic and Polish mythology in the Witcher world. 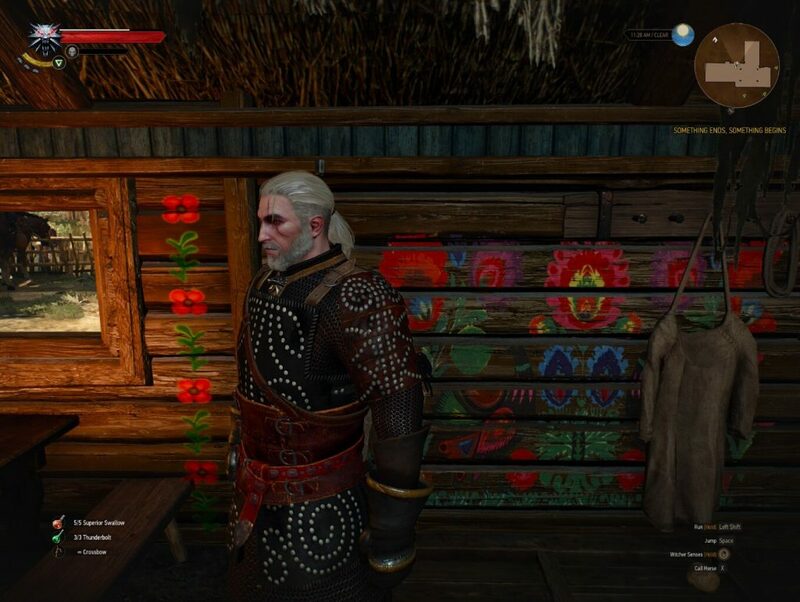 Obviously, the developers of the Witcher games were Polish. It was stated that they did, in fact, use Poland as an influence on how the game looked visually. Come to think of it, the official name for Novigrad is ‘The free city of Novigrad‘, not unlike ‘The free city of Danzig‘! This may be clutching at straws here, but it’s interesting nonetheless – take a look at the following map of the area of Redania from the Witcher universe. But geography and landscape aside, there’s a lot of other examples of ‘Poland’ in the Witcher world. 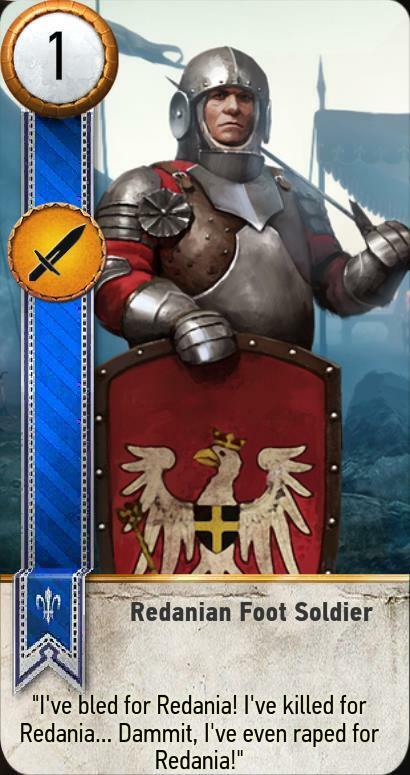 The Gwent card of the Redanian foot soldiers holds shields with images, not unlike the Polish Eagle. 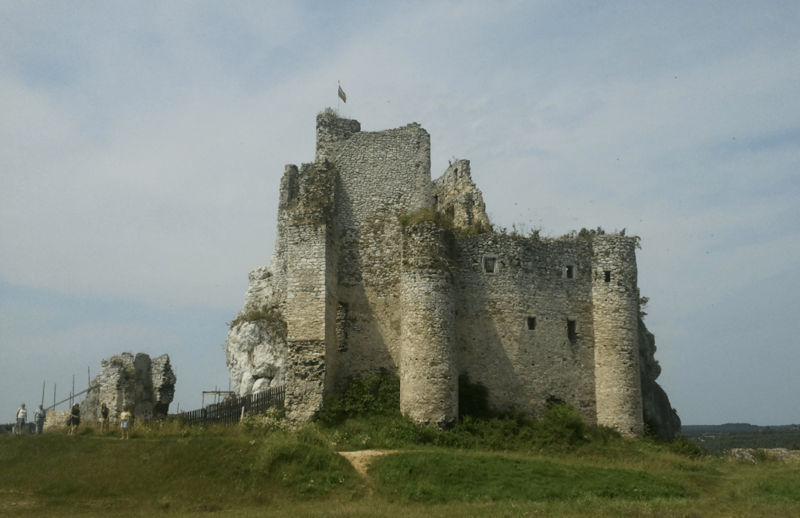 But many stories and quests echo Polish Romanticism, too. 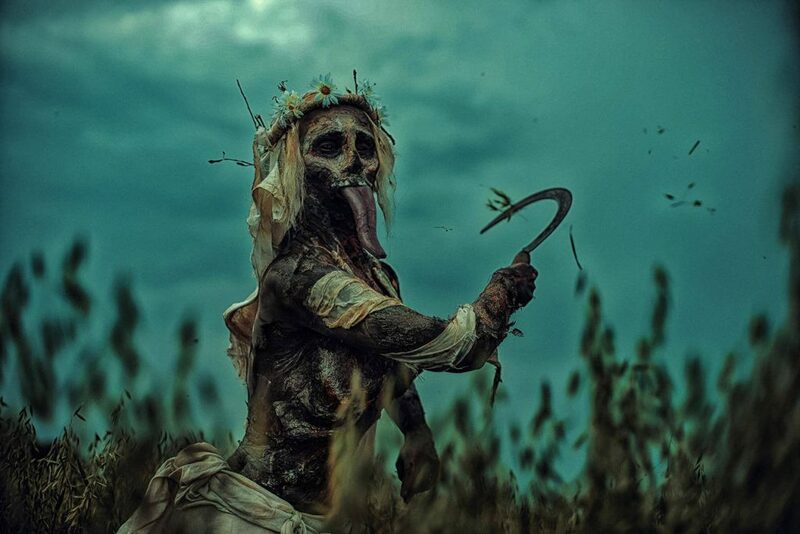 In one quest in the Witcher video games, Geralt must convince ‘Lady Midday‘, a young woman who cannot accept her own death, that she is actually dead. Geralt’s isn’t too sure of his own negotiating skills, and therefore enlists the help of his poet friend Dandelion. What happens next is an incredible moment for anyone familiar with Polish poetry. Dandelion recites ‘The Ghost’, a poem by arguably one of the most creative Polish minds, Adam Mickiewicz. To a Pole, the inclusion of The Ghost adds romance and makes The Witcher a lot more ‘special’. To anyone else, it’s confusing why a simple poem manages to have such a profound effect on such a vicious ghoul. This again is a problem that stems from creating an international game from a book that’s based heavily on a culture that’s not globally well known. 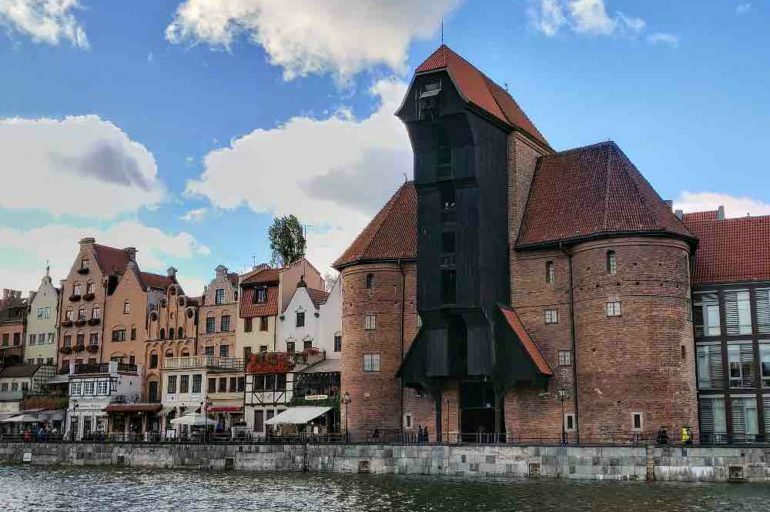 The story of ‘The Midday Lady’ is just one of many quests that lean heavily on Polish folklore. Poland herself knows that it’s culture is reflected in the Witcher universe and takes it in her stride. 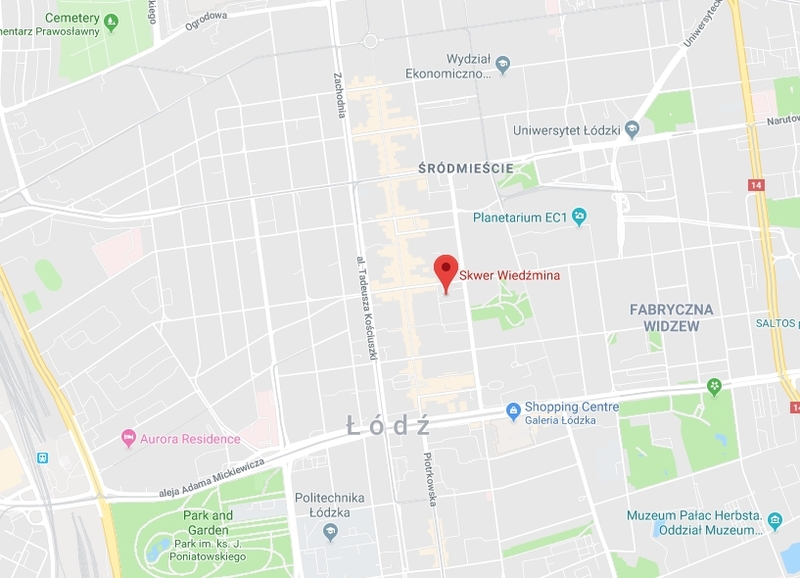 Łódz, the hometown of the Witcher’s author Andrzej Sapkowski recently unveiled Skwer Wiedżmina or ‘Witcher park’. 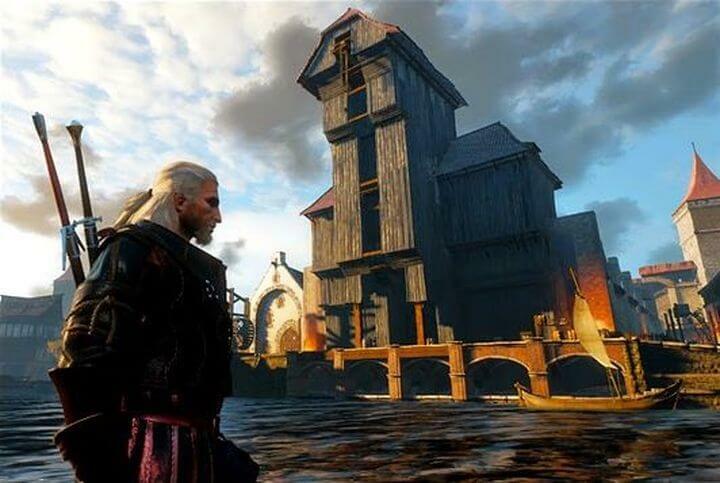 Over the coming months, a playground will be built around the fantasy world of The Witcher. The Witcher books play a huge part in the world of Polish culture. The books show off the imagination of a fantasy world set in Slavic Europe, and echo parts of Polish and Slavic lore, history and culture. What is your favorite Witch books?